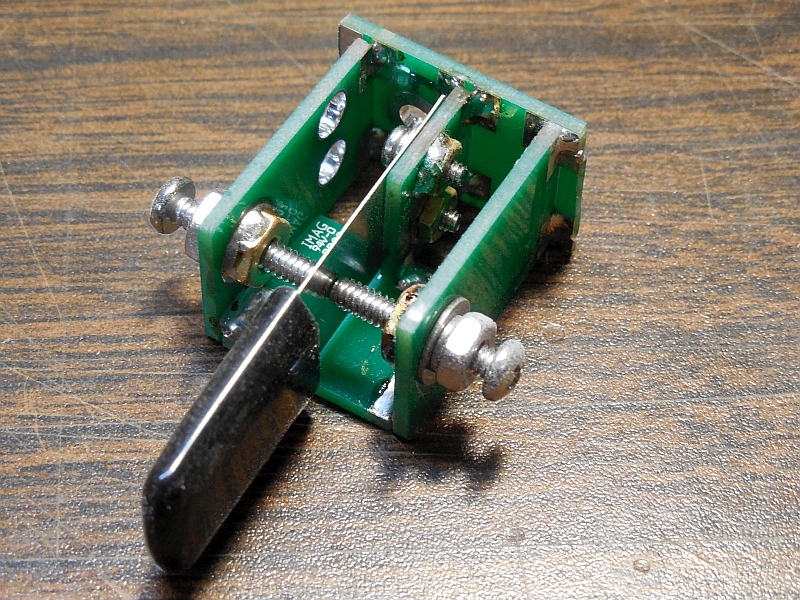 If you are like most hams who work CW you probably have more than one key or paddle. You may even have an entire collection of keys and paddles. Well, I don't consider myself at the collection stage but I have a few and while my nicest small paddles are probably the Palm Radio Mini-Paddles, they still weren't exactly what I wanted. I wanted something smaller for portable work without paying the price for their Pico Paddle. Full Disclaimer: I am not the world's greatest CW operator. Unless I can give it my undivided attention I still struggle. However, I am slowly improving and I certainly enjoy it. 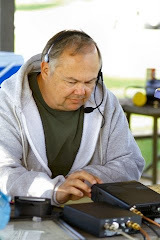 Recently I ran across the web site for QRPGuys. They have some interesting items in general but one that caught my eye was their Single Lever Mini Paddle. 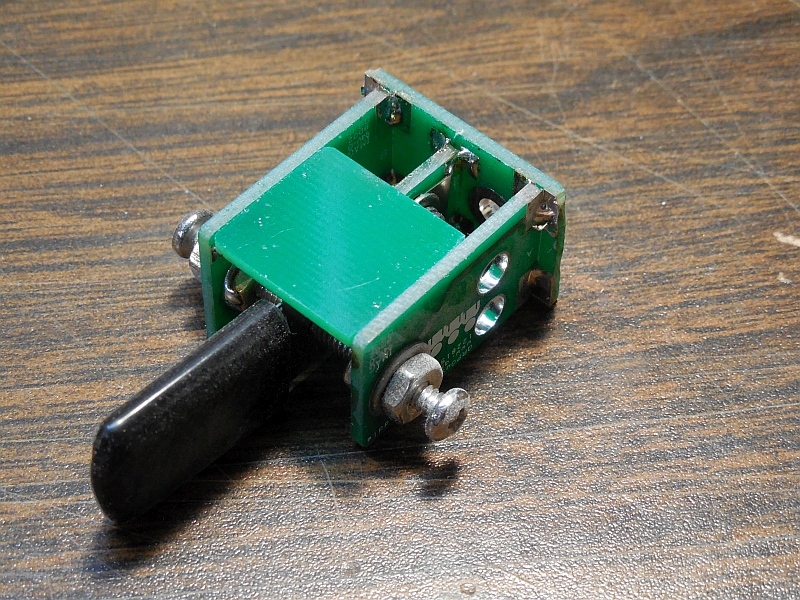 It's intended to be built into a project of your own, a kit, etc. but one look and it just spoke to me. Actually, it said "hack me"! The single lever paddle is a cleverly designed kit. It's made of some pieces of printed circuit board and a few common hardware items. It's small to begin with and best of all the cost is just $15.00US! If you decide to built one of these read their very good directions and be careful to follow them. The kit is easy to build but I imagine it would be very difficult to unsolder the pieces if you hurried and made a mistake. Working carefully I spent about 45 minutes getting to the state shown in the photo above. 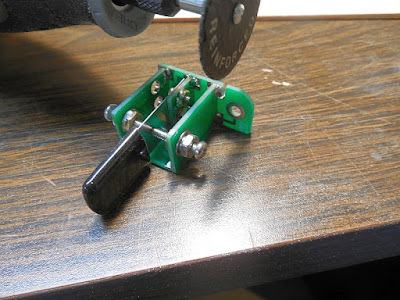 My idea for the hack, pun intended, was to remove the mounting ears where the paddles would normally bolt to the outside of your project enclosure. The small remaining paddle could then be attached to a clip board, top of the radio, etc. using a small square of velcro placed on the bottom of the paddles. The bottom PCB provides an adequate piece of real estate for doing this. 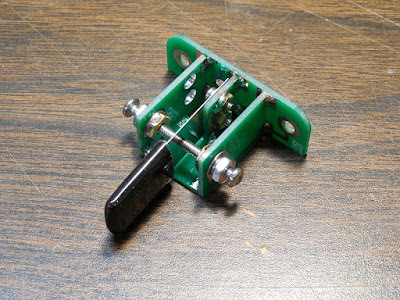 When you're finished you'll need to attach a connecting cable directly to the printed circuit boards to make your connections. As luck would have it I am out of small 1/8" stereo connectors so I have no photo of the totally complete setup. Here is a top view of the completed paddle. The main assembly is about 1" by 1" by 5/8" high. 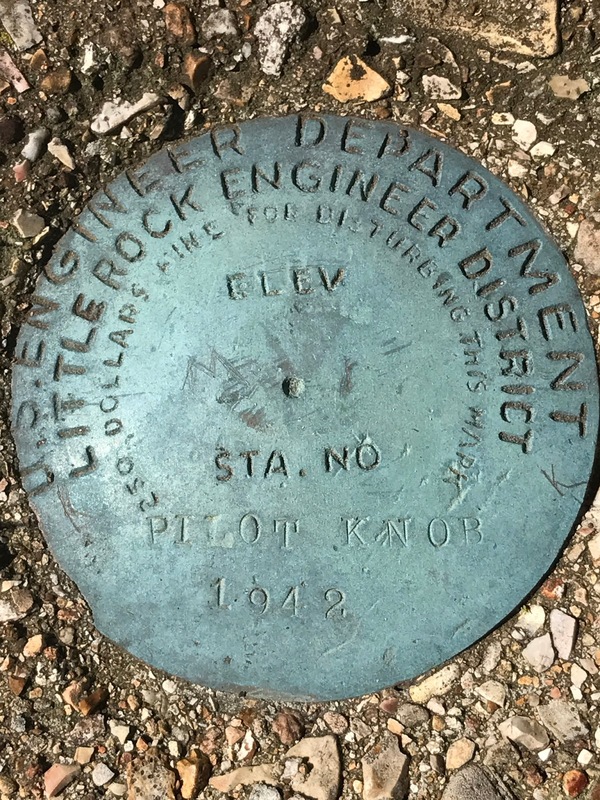 Total depth with the lever is about 2". I hope this gives you some ideas of your own! 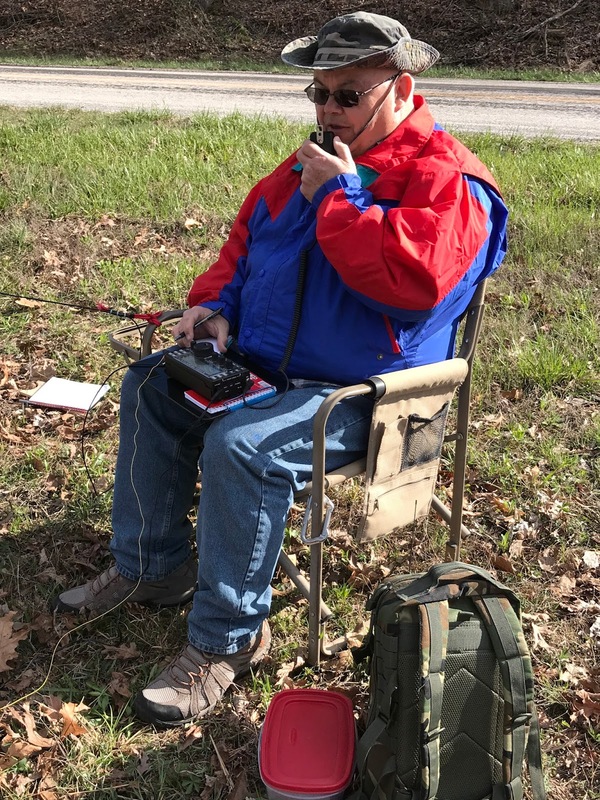 In April of 2017 Teri and I went to the Ozarkcon QRP gathering in Branson, MO. 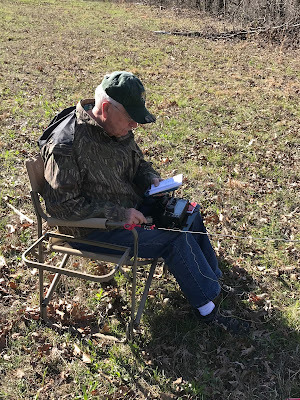 On Thursday and Friday before the event I joined John N0EVH and Frank KD0MQO to activate several SOTA summits in Arkansas. We had a great time over two days. I activated four summits with them and the two of them did a fourth on their way home on Sunday. The weather was fantastic and the scenery was awesome. Many thanks to all the chasers. We easily made the minimum contact count at every summit. Frank N0EVH was our leader. He's also the W0M area SOTA manager! Frank KD0MQO had a guest OP on Sunday. Finally, yours truly Tim N9PUZ. 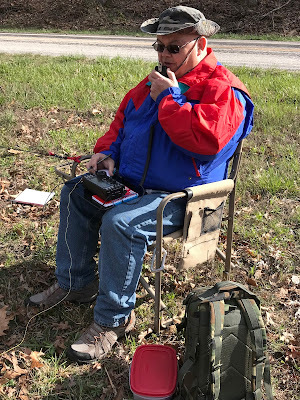 In this photo I was test driving John's Elecraft KX3. Nice rig! There's always something unexpected in the field. At Boat Mountain we had some really severe local QRN making it tough to hear the other stations for a few minutes! I thoroughly enjoyed this trip. 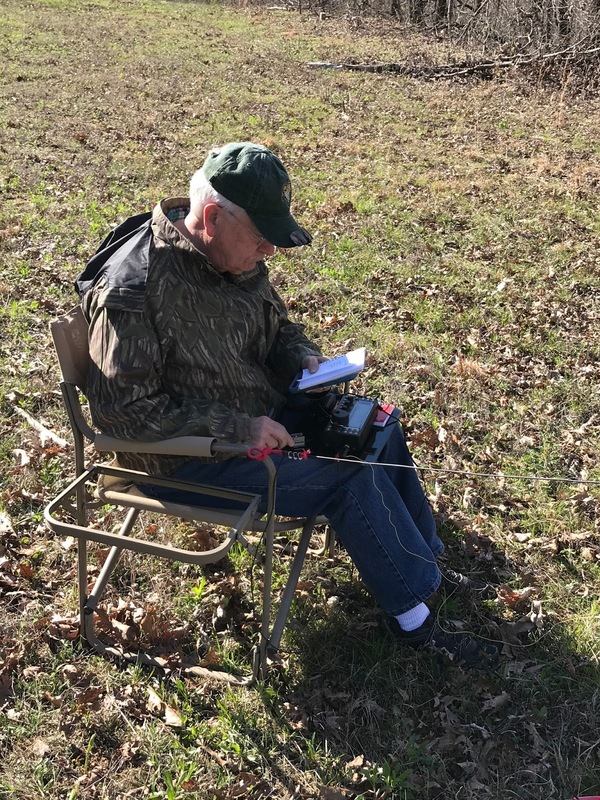 As this was my first time as a SOTA activator I'd like to thank John and Frank for their hospitality and guidance in making this a successful trip. A word of caution: Playing radio outside is very addicting. But, I highly recommend it!